Not only diamonds are women’ best friends. Already more than a hundred year ago Daniel Swarovski has changed this statement. Our team made a research about such success of Swarovski and the history of the brand and now we decided to share it with you. 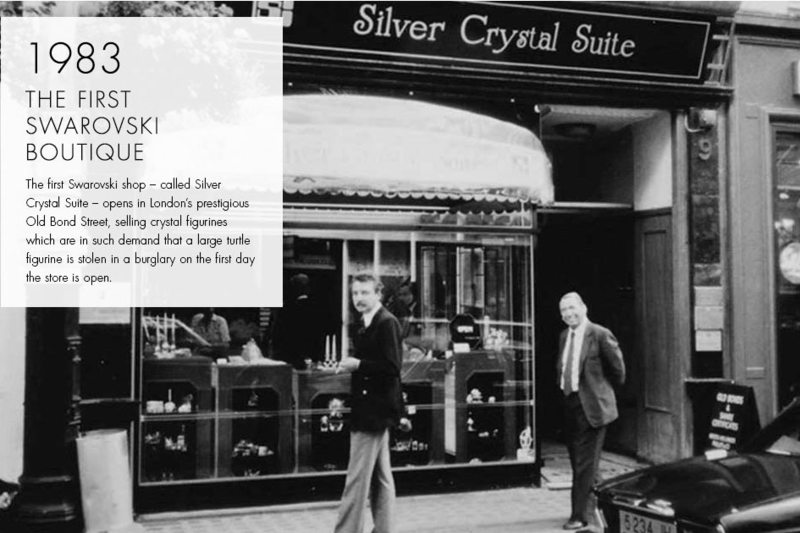 The history of the brand Swarovski proves that there is nothing impossible, because to influence the world to start choosing crystals over the diamonds seemed to be a very tough thing. Daniel Swarovski gave the world the trend of crystal jewellery, and thus set completely new rules for the image game. 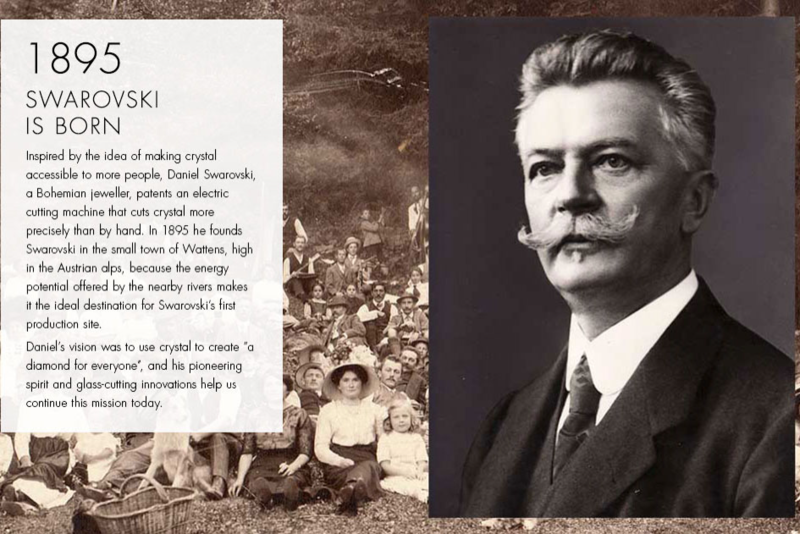 Swarovski business has been going on for over a hundred years, but it remains in the hands of the same family. The story began on October 24, 1862 in Georgenthal, a small village in the mountains of Austria, where the founder Daniel Swarovski was born. This territory of the Austro-Hungarian Empire was famous for its skilled glassblowers and glass grinders. Daniel’s father was working in the same area, but it wasn’t bringing a lot of money to the family. Nevertheless, it was enough to send Daniel to study engineering in Paris. There a young man has witnessed a rapidly expanding fashion of artificial diamonds. 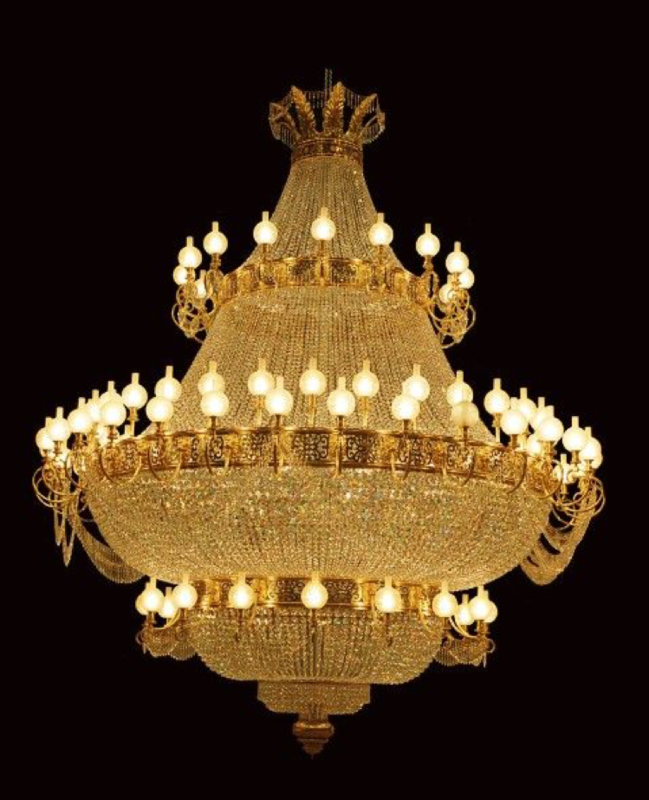 During those times, glass and crystal polishing were only a manual labour and, therefore, it was time consuming. That is why, once hitting the World Electro Technical Exhibition, young Swarovski decided to create a machine that would allow quickly and efficient grinding of artificial stones. Development of a grinding machine and obtaining the relevant patent took nine years, but after that, Daniel Swarovski felt fully prepared to start his own production of artificial diamonds. Daniel took over the entire production process. 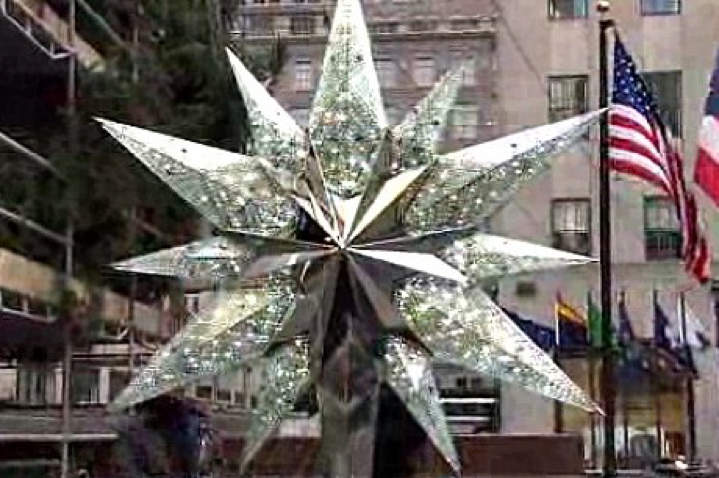 He made the design, calculated proportions of the various components to create a crystal. His goal was to create the stones, which are so strong that they were not damaged with mechanical cutting. Finally, he succeeded. The first crystal «diamond» of Swarovski saw the world in 1895, and since that year, the world was swept by completely new fashion. Swarovski Jewellery were sold out in Paris and St. Petersburg. 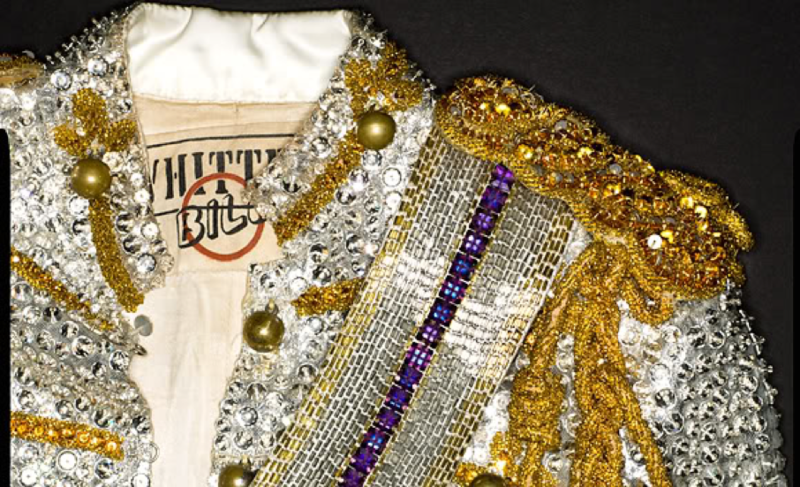 They were used as decoration by fashion houses as Chanel and Elsa Schiaparelli. 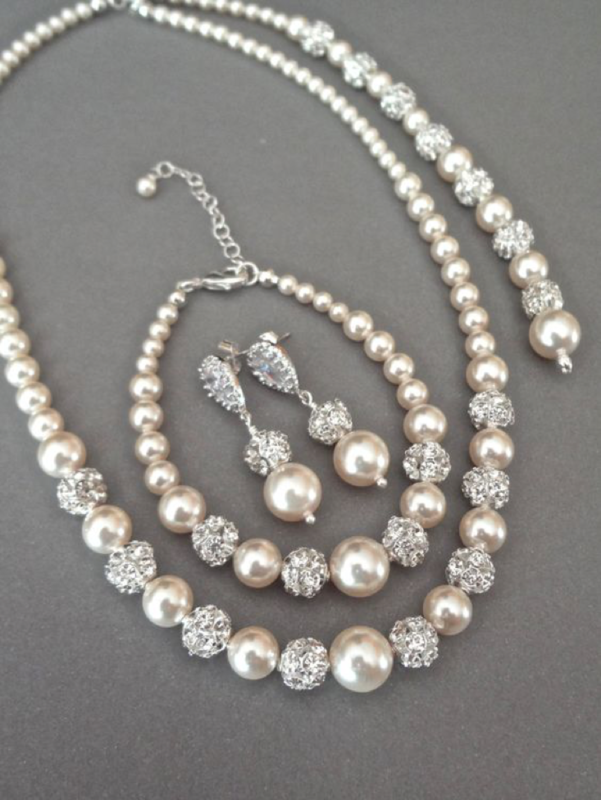 Moreover, Marilyn Monroe and Marlene Dietrich adored Swarovski Crystals as well. To this day crystal “diamonds” tend to decorate the clothes of the most fashionable designers – Christian Dior, Yves Saint Laurent, Vivienne Westwood and Christian Lacroix. Soon, the company’s founder involved three of his sons – Wilhelm, Friedrich and Alfred – to the successful business. Together, they were able to go far beyond the mere production of crystals. 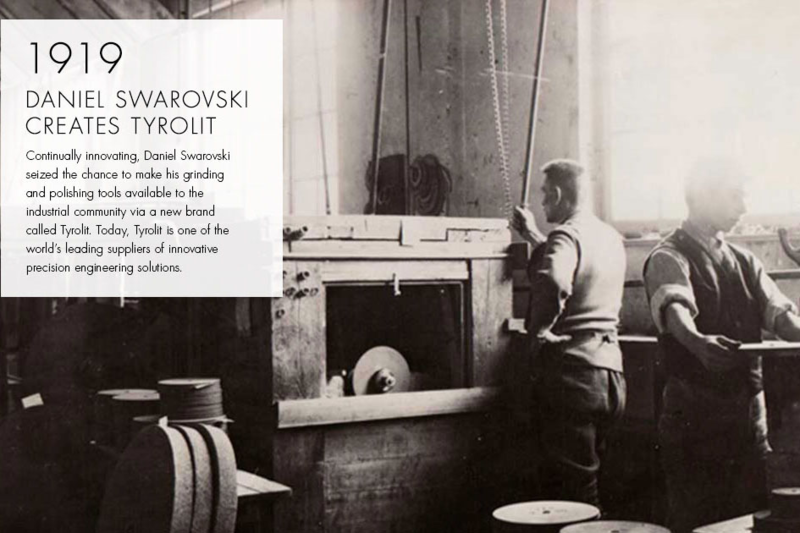 So, at the end of 1910 was created Tyrolit company, the purpose of which was the production of grinding and sawing tools, and in 1937 – the company Swareflex, producing reflectors for roads, as well as reflecting transitions and panels on highways. In 1948, Wilhelm Swarovski applied family crystal in optics and created the Swarovski Optik, which to this day remains leader on the relevant product market. Today, Daniel Swarovski’s great granddaughter, Nadja Swarovski, owns the company. Just like her great-grandfather, she seeks to create high-quality jewellery available to the masses. Swarovski company unites today 75 factories and nearly 10 000 workers, it also boasts 19 subsidiaries in more than 30 countries around the world. Additional impressing fact is that the company’s headquarters are still located in the unremarkable town of Wattens, Austria. Family Swarovski continues to hide their secrets carefully. After the release of each new collection, they not only destroy the relevant documentation, but also the tools, which were used for creation of the crystal ornaments. Perhaps someone would find such precautions to be excessive. However, the fact speaks for itself – today Swarovski produces 80% of all jewellery that is created in the world and it is unlikely that in the near future the situation will change. 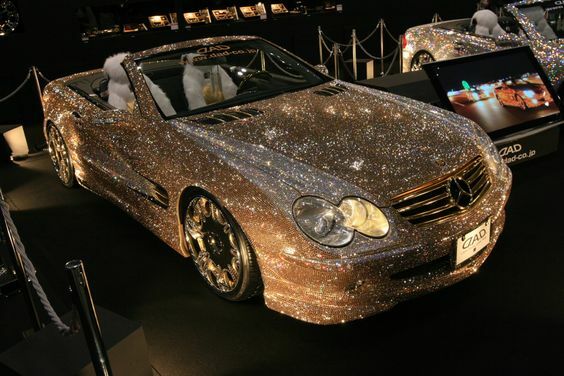 Swarovski is product-placed in the 2011 J-Lo promo video for the single “On The Floor”, alongside Crown Royal Whisky and BMW. It is also product-placed in the 2012 Nelly Furtado’s Big Hoops music video. Art Quiz: Do You Know Who The Painter Is?